The NIA has arrested yet another terrorist in connection with the Lethpora CRPF terror attack case which took place on the intervening night of December 30-31, 2017. New Delhi: The National Investigation Agency (NIA) arrested Syed Hilal Andrabi in connection with 2017 Lethpora CRPF terror attack case on Saturday. The accused is an active over ground worker of terrorist organisation Jaish-e-Mohammad and has been sent to a 5-day police custody, stated news agency ANI. The Lethpora terror attack took place on the intervening night of December 30-31, 2017. The attack was carried out by three terrorists of the proscribed terrorist organisation on the CRPF group centre in Lethpora in 2017, stated the NIA. 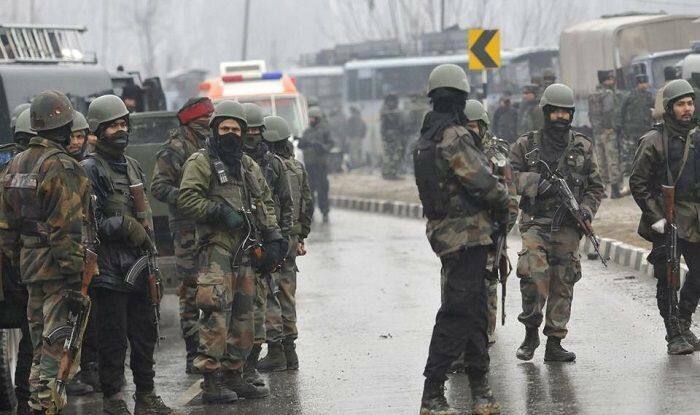 Upon investigation, the terrorists were identified as Fardeen Ahmad Khandey and Manzoor Baba from Pulwama, and Abdul Shakoor from Rawalakot area of Pakistan-occupied Kashmir. All the three terrorists were reportedly killed in the encounter. In February 2019, the NIA arrested Fayaz Ahmad Magray, a key conspirator of the attack. The NIA stated that Magray had allegedly granted logistical support to the terrorists before the attack. He had reportedly provided shelter to the terrorists and held reconnaissance of the CRPF group centre in Lethpora. Earlier in 2001, the Jammu and Kashmir Police had detained Magray under the Public Safety Act (PSA) by and he was under detention for 16 months. In yet another incident in February, the NIA carried out raids at the homes of three Jaish-e-Mohammed (JeM) terrorists in Awantipora of Jammu and Kashmir. If reports are to be believed, the raids are also being conducted at homes of terrorists, including Sajjad Bhat whose car was used in the dastardly Pulwama terror attack which claimed the lives of 40 Central Reserve Police Force (CRPF) jawans on February 14. The development came a day after 12 Indian Air Force Mirage 2000 jets dropped six 1,000 kg laser-guided bombs over two Jaish-e-Mohammed camps in Pakistan-occupied Kashmir’s (PoK) Chakothi, Muzaffarabad areas and pounded JeM’s biggest training camp in Balakot. In a pre-dawn operation that lasted just 21 minutes, India mounted a massive offensive on Jaish-e-Mohammed (JeM) in Pakistan on Tuesday when its air force carried a ‘non-military pre-emptive air strike’ on three JeM camps, killing nearly 300 terrorists in the attack.